Every city has those iconic sights that every traveler makes it a point to see on their first visit. But what happens when you return to that city for the second or third time and you’ve already checked off the highlights on your bucket list? Here are some of my favorite places that are a bit off the beaten path in Rome. pipelines, aqueducts used gravity to bring water from far-away springs and mountains into cities. The large arched stone structures that we associate with the systems were built to maintain an appropriate water height when the system crossed a valley or other land that dipped in elevation. 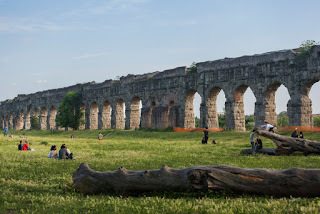 To view a large, well preserved section of such a structure in Rome, we headed to Parco degli Acquedotti, located 5 miles outside Rome’s city center. It is just so amazing to see these beautiful ancient structures still standing! 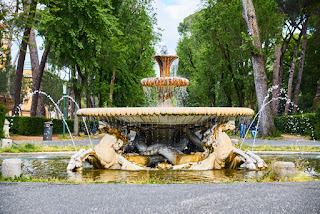 Although we had a driver for the day, you can get to the park using public transportation; take the metro line A to Lucio Sestio or Giulio Agricola and from there it’s a 15-minute walk into the park. The park itself is lovely, a nice place to step away from the hectic pace of a Mediterranean cruise. Even better, bring a picnic lunch! In Rome there are more than sixty catacombs made up of miles and miles of underground passageways that hold thousands of tombs. Currently only five of them are open to the public. My family chose to visit the tombs of San Callisto,the most popular as well as the burial place of 16 pontiffs and many Christian martyrs. This suggestion may sound a bit morbid for some, but I visited with my son when he was about ten or so, and he thought it was really cool! To tell you the truth, my husband and I also found them quite interesting! English-speaking guides are available that explain past burial rituals and give historical context to the sights as well as point out early Christian frescoes, paintings and sculptures. Villa Borghese (think of it as Rome’s Central Park), is located on the Pincian Hill, close to Spanish Steps. It is on my “next time in Rome” list of things to do. 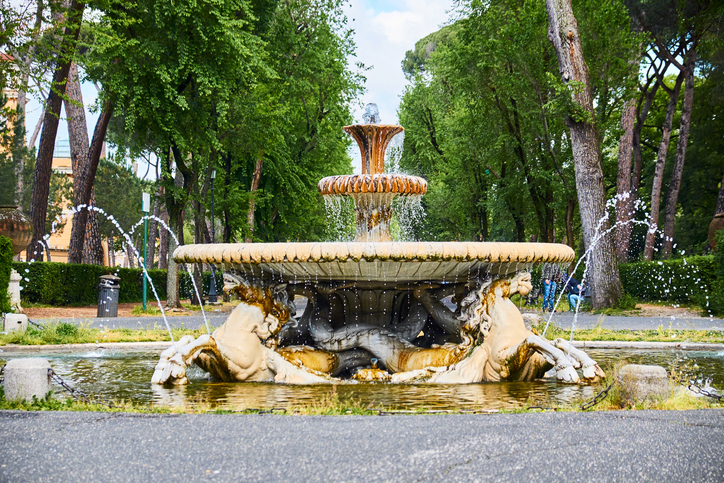 Originally the grounds of the Borghese family’s villa in the 17th century, today the park is open to the public and has an area for everyone. You can visit Borghese Gallery; it contains paintings from artists such as Raphael, Titian and Caravaggio. If you’re traveling with kids, there’s a merry-go-round as well as zoo which houses more than 1,000 animals from 200 different species. Refreshments of all types are available, from formal restaurants to ice cream vendors. There is also a bike rental kiosk. As for me, I’ll be happy just strolling the lovely tree lined paths… pretending to be a local.